Recently many of us watched the Olympic games on television. When the winning Olympic athletes were interviewed, they often had great difficulty in describing their overwhelming joy at that moment. After years of faithfully training and working very hard, they had finally won their medal and the emotion of the moment left them with a limited vocabulary. The moment itself was overpowering and their lives would never be the same. They will always be Olympic winners. As I watched those winning athletes, I couldn’t help but think of a future time when we will be rewarded by the Lord Jesus, the King of Glory. The joy of those Olympic athletes will be far surpassed by the joy of believers who have faithfully served the Lord of Glory here and now. For faithful believers, it will undoubtedly be an incredibly emotional moment of great joy and immense satisfaction. To have the Lord Jesus say, “you did a good job and I am so very pleased with you” will make all of the hard work and faithfulness in tough times be worth it all. And, like the Olympic athletes, this will have an impact on life from that moment on. When Will the Judgment Seat of Christ Take Place? In several of His parables (Luke 19; Matthew 25), He connected the rewarding of His servants with His return to earth. Scripture tells us that rewarding is connected with His return. So when He returns at the Rapture for His Bride, the Church, that will be the time when church age saints are rewarded. This can also be seen in Revelation 19:8 where, just prior to the Second Coming to earth, the Bride is seen in heaven as rewarded. And on the basis of Matthew 16, we can also conclude that all other saints (from the Old Testament and the Tribulation) will be rewarded at the Second Coming event. Do the Rewards Last for All Eternity? It is sometimes taught that after the Judgment Seat, all believers will then be the same. This is largely based on Revelation 4. In Revelation 4:4-10, the 24 elders cast their crowns before the throne of God, and this has led some to conclude that after this act of worship that rewards play no part in future activities, rankings or conditions. But that is probably not how we should understand Revelation 4. That particular interpretation simply does not align well with numerous other scriptures. It is true that the rewarded elders are worshipping the Lord by acknowledging that their rewards are ultimately due to His grace. And the fact that they have crowns enables them to have a greater capacity in their worship of the Lord. In the Millennial (Messianic) Kingdom. In this kingdom, the Lord Jesus will rule for one thousand years (Rev. 20:1-10) over Israel and all the nations of the earth (Psalm 2:1-9; Isaiah 9:6-7, 11; Jer. 23:5-8; 33:20-26). Absent from this kingdom will be Satan and his forces as well as the curse placed on the earth by God in Genesis 3. This kingdom will be characterized by righteousness, joy, peace, prosperity and health. There has never been a time like this on earth since Eden, and for those who have been faithful in this present life there will be the privileged opportunity to co-rule with King Jesus. Our investment (“laying up treasures”) right now will pay amazing dividends for one thousand years. In the eternal phase of the kingdom of God, there are nations and there are kings. This means that there are some people who are going to hold honored places on the earth during the eternal kingdom. This strongly suggests that the rewards given to believers do have eternal consequences. Again, the Apostle Paul speaks of the “eternal weight of glory” (2 Corinthians 4:17). The writer of Hebrews seems to support the eternalness of rewards when he states that the present heavens and earth will be “shaken” while the kingdom we will receive will not be “shaken” (Hebrews 12:25-29). The “shaking” refers to the destruction of the old earth which is in contrast to the kingdom we will be part of which will not be destroyed. This statement comes after numerous exhortations to remain faithful and endure because of the rewards that are coming when Jesus Messiah comes; strongly implying that the rewards and the kingdom are eternal. While it is impossible to be dogmatic on the matter of the eternalness of rewards, the evidence points in that direction. But even if it could be shown that rewards last for “just” one thousand years, how wise is the believer to live presently with that time in mind. How incredibly wonderful to have a unique relationship and a wonderful responsibility alongside the King, even if it is “only” for a thousand years. If it is eternity that is in view, then wisdom calls us with an even louder voice: “TODAY COUNTS FOREVER”. And Jesus’ exhortation to “lay up treasure” may be far more significant than is usually thought. 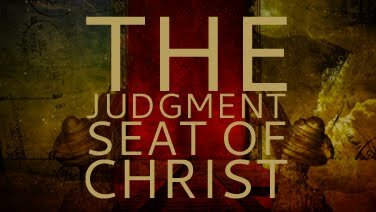 When we do stand before the judgment seat, what will King/Judge Jesus be looking for? How will we be evaluated? On what basis will rewards be given or not given? That will be the subject of our next study on the Judgment Seat of Christ.